RGMMC Spanish Winter Series: A successful premiere in Valencia! The newly-introduced Spanish Winter Series was held last weekend at the Kartodromo Internacional Lucas Guerrero in Chiva, near Valencia in the south of Spain. 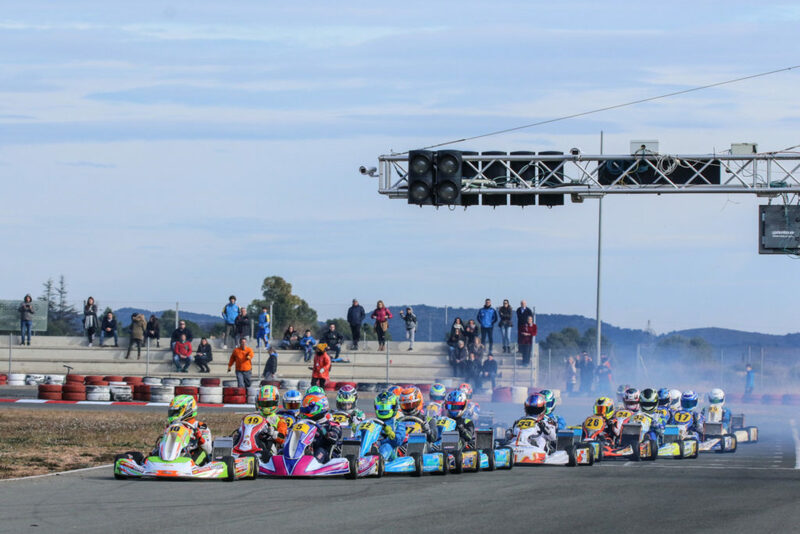 The event, made possible thanks to the combined efforts of the Spanish Federation (RFEDA) and the karting promoter RGMMC, proved successful with top-level competition on track in the warm conditions of the local winter. The 1428 meters of the Kartodromo welcomed the series, brought to life as a perfect warm-up for drivers from all around Europe before their upcoming karting season. It featured four categories on track, Alevin, Cadete, Junior and Senior, all under the same regulations of the Spanish Karting Championship powered by IAME upon which the format of the series is based with Free Practice on Friday, Qualifying Heats on Saturday followed by Prefinals and Finals on Sunday. Alevin and Cadete used tires provided by Komet, while Junior and Senior run with MG compounds for the entire weekend. 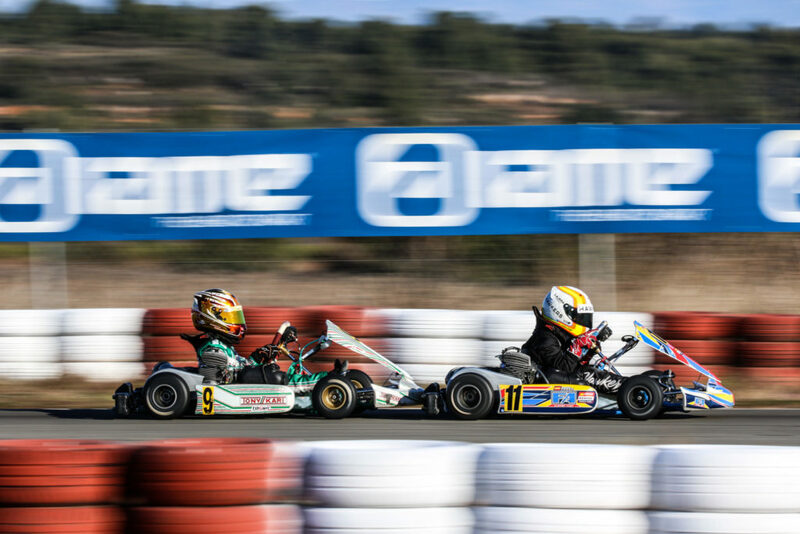 Added to the intense competition on the track, the organizer RGMMC didn’t hold back to make this new Spanish Winter Series a top-level karting event in every aspect. Starting with the media coverage provided with Live Timing and a top-quality Live Streaming (available on the Telemundi Youtube channel) as well as 25 race control cameras, and a crew of International Officers that worked together with the National Officers specially appointed for this event. Racing-wise, the Alevin class (8-10 years old), for young drivers between eight and ten years old, was won on Sunday by Spain’s Christian Costoya Sanabria who successfully moved ahead of three opponents in the penultimate lap to clinch victory at the end of the 10-round Final. His fellow countryman Raúl Zunzarren Pérez, who led the provisional classification on Saturday, finished second and the Dane Louis Leveau, victor of the Prefinal, third. The X30 Cadet category (10-12 years old) saw the unexpected win of Óscar Pliego Ramirez, fourth at the checkered flag before inheriting the win after a cascade of penalties affected the leaders. In what had been a tricky Final, Guillermo Delgado Martinez had crossed the line first after starting 4th on the grid, only to lose his result due to a one position-penalty. A similar faith stroke both Alberto Hurtado Gonzalez, who moved back from second to third, and Lucas Jack Fluxa Cross who received a five seconds penalty that made him miss out on the podium classifying 7th overall. A rather disappointing conclusion for the latter after his win in the Prefinal. Qualified only 10th on the grid, Aaron Walker made good use of the early stages of the almost fully-packed X30 Junior Final (12-14 years old) to crown himself as the only foreign winner in a competition mostly dominated by Spanish drivers on their home soil. After having to cope with the pressure from Polesitter Matthew Marrocco, who retired five laps from the conclusion, Walker could savour his win in front of local hero Lucas Pons Preda, who also recovered a good number of positions from 16th to clinch the second spot with Eric Alanis Bosch completing the top 3. As for the Juniors, the X30 Senior field looked impressive on the Kartodromo of Chiva with almost 30 entries. But despite fierce opposition, not only from his fellow countrymen but also from seven other countries’ representatives, it was Mari Boya that would be unbeatable this weekend. 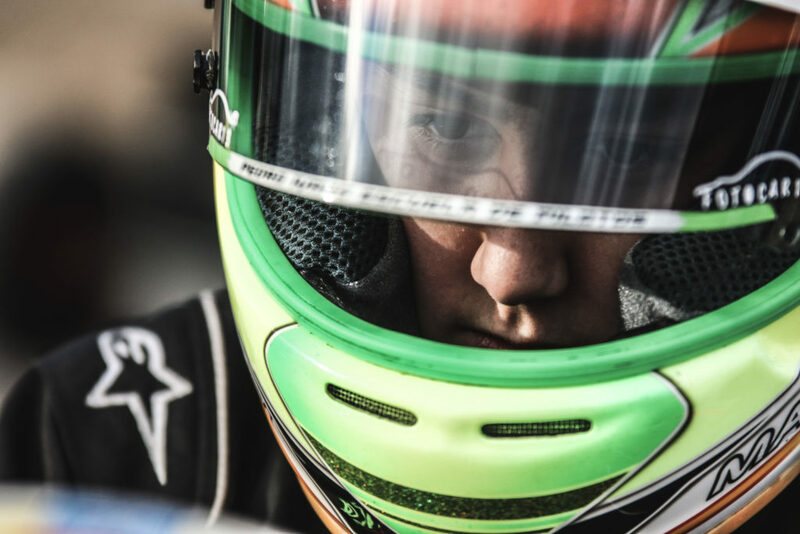 The reigning Spanish Junior Champion, who also won last year’s CIK-FIA Academy Trophy, showed no sign of weakness by winning his three Heats on Saturday, followed by another win in the Prefinal to conclude by one last charging performance in the Final. His teammate Ruben Sabater Saura made it a one-two for Monlau Competicion while Niels Koolen joined them for the podium ceremony after making his way through the field from P16 on the grid. Filip Nava, fourth, and Ruben Moya, fifth, missed a potential top 3-finish after battling for the lead for some time with Boya. More information on the official website of the Spanish Karting Championship, on Facebook and Instagram.